There. I said it. That's who brought me to Bird Streets and John Brodeur, who evidently is the big Bird here. Jason, notably of Jellyfish, Beck, McCartney, and solo fame, produced the album and co-wrote much of it. His influence shouldn't be ignored, but John is the talent worthy of a deep dive. Ugh. 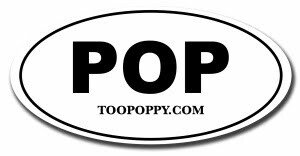 I've struggled with the genre term since the very minute I started Too Poppy. In my opinion, so much power pop hangs it all on a singular hook or two and spreads it across an album or even a career. Yet on relatively rare occasion, something like Bird Streets comes along to inspire me to declare, "BEST POWER POP ALBUM OF THE YEAR!" John Brodeur and power pop. A glorious combo. There are hooky twists, clever lyrical play, and earworms galore on this debut that evoke the genre's best from the 60s through the 90s. John's voice could easily be confused with Dan Wilson's, and that is not a concern at all, nor is it meant to minimize what a great sound he delivers. Wilson is quite a talent to be compared to, and I'm thrilled to report the songwriting lives up to it as well. 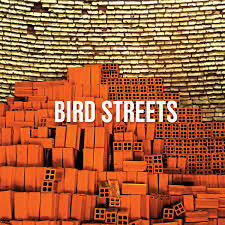 2018 has been a fantastic year for new music, and I can't imagine Bird Streets won't hang around in my top five of the year. Finally, we should all be grateful for Omnivore Recordings who continue to support this kind of music we love, whatever we want to call it. Bird Streets was released last week for those of us who were PledgeMusic supporters, but it'll be available for all on Friday!